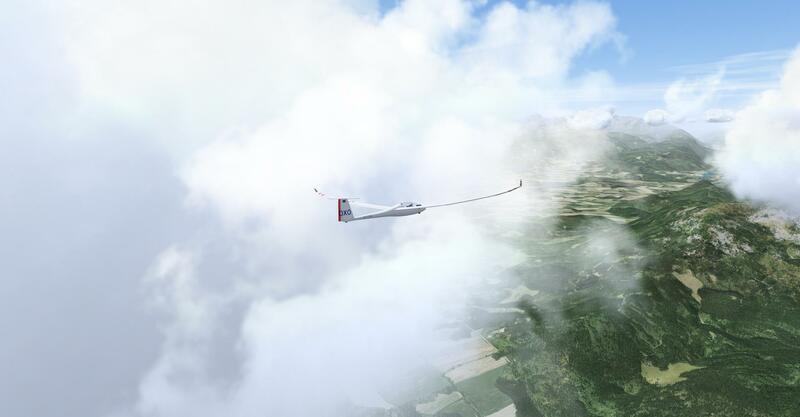 Condor 1 was the - by far - physically most realistic soaring simulation available, AFAIK. 3rd party maps once again can be imported. By default, they have Slowenia. I must try this in VR. 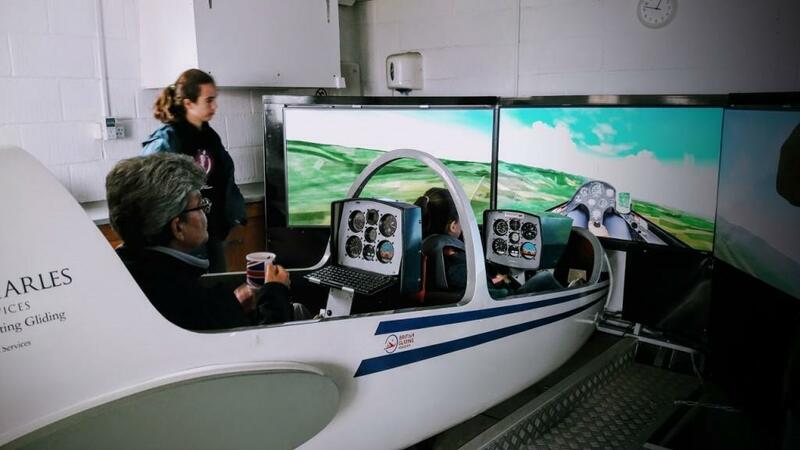 It is no click-festival in cockpit, all the controls can be mapped to a HOTAS, so for VR this might be an ideal way of flying. Just need to get my flight pedals back to working state, without pedals, soaring is pointless. Have not used the since years, last time I did, they were somewhat broken. Last edited by Skybird; 01-14-2019 at 02:52 AM. Since the beginning, Condor has been used by clubs and businesses to construct full size simulators as shown in the picture opposite. That one is the British Gliding Association simulator, and they rent it out to their member clubs for a small fee. 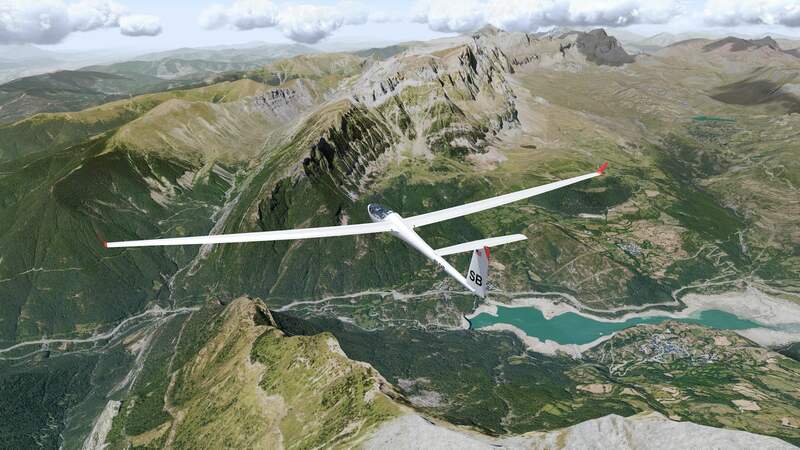 I used to fly Condor 1 when I was flying real gliders (can't believe my last real flight was 7 years ago already ). Condor 1 was really good with one exception: The winch starts were ridiculous. Completely unstable, one could pretty much do involuntary aerobatics while being winched up. In real life the aircraft was very stable and easy to control during winching. But apart from that the simulation was excellent. Maybe I need to reinstall it one of these days. BTW if you can't get your pedals working again you can try a joystick with a Z-Axis. I've been flying with those till day one of my simulator days and it does work surprisingly well.